If you’re struggling with addiction, then Help 4 Addiction is here to help. We are a rehab centre admissions service serving people struggling with addiction in London. Our staff are here, ready to connect you with the right treatment. All you need do is call us, tell us which substances you’re struggling with, and we’ll find you the help you need, right here in the London area. At Help 4 Addiction, we’re committed to helping people beat their drug and alcohol addiction and get back on the path to a healthy and productive life. You can call our admissions team at any time to discuss whether you might need private rehab. It doesn’t matter what substance you may be struggling with; whether that’s cocaine, amphetamines, prescription drugs, heroin, or alcohol, we have the expertise you need to find the right rehabilitation service for you. Everybody’s path to recovery is different. We understand this, which is why we take the time to listen to your case and make recommendations based on what you tell us. We then find the rehab centre that is in the best position to offer guidance, support and help for you. Private rehab is a paid service where patients go to a clinic and receive treatment for addiction. Often, patients receive residential treatment, meaning that they stay at the private rehab clinic, 24 hours a day, under supervision. Although it is possible to go to a rehab centre for immediate treatment and then return home, most patients find it beneficial to spend some time in residence, especially when they are newly recovering. Residential rehab in London offers a variety of benefits for patients. It has higher success rates than outpatient programmes (where patients receive treatment but do not stay at the rehab centre) because they can escape temptation and social environments which foster substance abuse. Residential rehab programmes also offer around-the-clock support to help patients recovering from a serious addiction, allowing medical staff to help them through the process of detoxification and provide assistance when required. Depression And Anxiety And Substance Abuse In London: A Vicious Cycle? Although not always, depression and anxiety are often associated with substance use. Both of these conditions cause an individual to suffer, and drugs appear to offer a temporary escape. Substance abuse and mood disorders, like anxiety and depression, frequently go hand-in-hand. There is evidence that substance use can worsen both anxiety and depression, but there is also evidence that anxiety and depression can lead to substance use. Anxiety, depression and drug addiction can form a vicious cycle, each feeding off the other, often making symptoms far worse overall. Many people with depression and anxiety use drugs to medicate their condition. Drugs and alcohol help them to feel more “normal” and “more like everybody else,” and may permit them to function normally for a while. However, if you’ve ever used drugs or alcohol to medicate anxiety or depression, you know that the effect is fleeting. While you may initially feel good, after a while the effect wears off, and you end up in a worse place than you were in before. Soon, you need drugs or alcohol just to keep yourself from crashing – a cycle of behaviour that damages everything you care about in your life, whether that’s your health, your relationships, or your work. Although people use substances to medicate for all kinds of problems, substance use can have specific effects on a range of common disorders. Take social anxiety disorder, for instance. If you suffer from social anxiety disorder, then you often feel panic or distress in social situations. 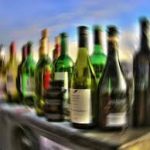 Many people with the disorder come to believe that alcohol can help them manage the condition, and so they drink heavily while in the presence of other people. Alcohol, however, can often make social anxiety worse, leading to all kinds of negative ramifications down the road. For instance, misusing alcohol not only damages the body but can also lead to sleep disorders which, in turn, heighten states of anxiety. PTSD or post-traumatic stress disorder is a type of disorder that occurs after a traumatic event which can produce intense feelings of anxiety in certain situations. If you’ve been diagnosed with PTSD, you may feel the need to medicate to manage symptoms. As a result, PTSD and substance abuse often go hand-in-hand with the sufferer using substances to take the edge off their negative experiences. The problem, however, is that just as with social anxiety disorder, using drugs to medicate PTSD can make the symptoms of the condition worse. Although it is possible to take substances and become addicted without some kind of pre-existing mood disorder, it is rare. What’s more, substance use often leads to problems with anxiety and depression, necessitating that the two must be treated at the same time. Most rehab centres in the London area, therefore, offer support for both mood disorders and substance abuse concurrently. When you check into a rehab centre, you’ll be assessed and then offered a range of therapies depending on your specific need. If you think that your substance abuse has led to a mood disorder, or believe that a mood disorder caused you to begin using substances, then private residential rehab can help a great deal. The priority of the rehab centre is to intervene in the damaging cycle of substance use and feelings of anxiety or depression. Most centres offer cognitive behavioural therapy. Cognitive behavioural therapy – or CBT for short – is a kind of treatment which specifically intervenes in destructive behaviours and emotions. The idea behind CBT is to train the brain into thinking differently in particular situations. For instance, CBT can help people suffering from substance abuse disorder say no to drugs and focus on the path to recovery. The therapy can last for as long as it is needed, although many see benefits between 12 and 16 weeks. The good thing about CBT is that it can be done as an outpatient: you can leave residential rehab, but continue to take part in therapy at times that suit you. The challenging part of dealing with any substance-related addiction is managing withdrawal symptoms. The specifics of withdrawal depend on the kind of substances to which you may be addicted. Take alcohol, for instance. 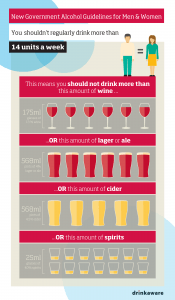 Alcohol is a depressant, meaning that it changes the way that your brain works, slowing the rate at which messages are sent from one part to another. If your brain is in this state for a long time, it begins to try to fight the effects of the alcohol and put you in a more alert state. A person suffering from alcohol addiction, often needs more alcohol to avoid this unpleasant brain state, fuelling a cycle of addiction. The process of withdrawal, therefore, is a process of returning to health. The brain wants to get back into balance, but cannot do this so long as the alcohol dependence continues. It can only return to a state of health when the alcohol addiction ends. Withdrawal symptoms from alcohol and drug abuse vary from person to person and depend on the type of substance being used. If you stop using a substance, you may find that you experience insomnia (an inability to sleep), anxiety (especially if you have not resolved this issue), shaking hands, vomiting, sweating and headaches. Withdrawal can be a frightening and challenging time, which is why it is always best to have the support of professionals who can manage your transition through the process and see you safely out the other side. Dealing with withdrawal by yourself can be both unpleasant and lead to relapse. The length of time between stopping using a substance and the onset of withdrawal depends on your particular biology, as well as the extent to which you might be dependent. Withdrawal symptoms tend to show up within the first 12 to 24 hours after you stop using a substance, so you need to prepare. Many people avoid severe withdrawal symptoms, like seizures or delirium tremens (where people imagine that they can see and hear things that aren’t there), but some don’t. According to data from WebMD, around 5 per cent of people will experience vivid hallucinations within 48 to 72 hours of stopping their use of alcohol. That’s why it is a good idea to manage your recovery with professionals by your side. Treating withdrawal is the primary objective of residential rehabilitation. Private rehab centres are there to provide an environment in which you can safely and securely let go of your addictions, get the support you need, and refocus your life around the things that matter to you. Most people seeking rehabilitation in London find that they don’t need much more than a supportive environment to recover from their addiction. Rehab centres offer all of the things that you need to get on the road to recovery, including soft lighting and quiet surroundings. Rehab centres help to take you out of your current situation and put you in a new environment, without the cues and triggers that might lead to relapse. The people around you will be positive and supportive through your journey to health. You will engage in life-affirming conversations and enjoy the company of those with your best interests at heart. At a rehab clinic, you will escape environments that may tempt you to abuse substances, and no drugs or alcohol will be available. Finally, rehab centres provide healthy nutrition and lots of fluid. Fluid helps to flush the system of drugs and allows the body to remove harmful chemicals from the system. Proper nutrition supports this process and can also have a positive effect on mood. Not all people entering a drug rehab clinic can manage withdrawal from addictive substances without medication. Doctors at rehabilitation centres are trained explicitly on which medications to use and who to treat. You may need treatment for a number of withdrawal symptoms, including hallucinations, insomnia, or problems related to your heart and blood vessels. Some medications can interact with drugs in your body, so it’s beneficial to have ongoing medical support from trained professionals. Rehabilitation clinics are adept and dealing with the initial difficulties of removing substance abuse from your life, but without counselling, many people find themselves relapsing weeks or months after they return home. Ongoing counselling and support both help to get to the root of the addiction and find ways to address the underlying problem. Counselling can help you deal with deep-seated issues like these so that you can avoid the need to use drugs and alcohol to medicate. Ongoing counselling and support groups (where you meet with other people managing their addictions), can be of enormous benefit. If you believe that you may need help overcoming addiction, then don’t delay. A rehab centre in London can help free you from your dependence and give you back the life that you want. Don’t suffer any longer than you have to. The longer you continue to use addictive substances, the more difficult managing withdrawal could be. Finding the right rehab centre can be a challenge, especially if you are currently suffering from substance abuse. You may not feel like you have the ability to judge which treatment centres are the best for dealing with your particular needs. With Help 4 Addiction, there’s no need to worry. All you have to do is call our admissions team on 0203 955 7700, and we will find a suitable clinic that caters to your particular circumstances. Don’t delay: call our friendly team today. If you reside in the United Kingdom, Help4Addiction’s experienced admissions officer can cut through the headache of finding the rehabilitation centre that suits you best. Help4Addiction can even take on funding arrangement administration, particularly if you choose to fund via a private insurance policy.